We’ve been overwhelmed by the thousands of incredible photos that have been sent to us over the past few days. They’ve honestly left us humbled and proud to be part of the Street Feast event with all of you. It is a real testament to the fantastic inclusive spirit, warmth and friendliness that so many people are fostering in their neighbourhoods. It is hugely inspiring. We created 3 categories to make it a little easier to choose a winner; a group photo, a group photo around the table, and a photo of a group taking part in fun and games. So big congratulations to the winners who each win a copy of the Happy Pear’s new cookbook. (Many thanks to Dave & Steve of The Happy Pear for their generosity). We hope to find lots of delicious healthy food on your Street Feast table next year! “Fantastic day in Aidan Park Shannon co. Clare. Rain held off most of the day! The kids had a ball. Thanks to our local Gardai for coming down for a little display. Our cooks Barry and Katrina and our baker Adrienne. Fran gave us all a little extra colour with her artwork and Jonny provided us with plenty music to dance and sing to (Susan). Kevin put in loads of work with helping print flyers for all the houses and more bunting and of course the giant jenga! So cool. We love every bit of this photo. Here’s a closeup! Carolyne O’Hagan from Rosehill West/Roselawn Street Feast, Ballinacurra, Midleton, Co. Cork . 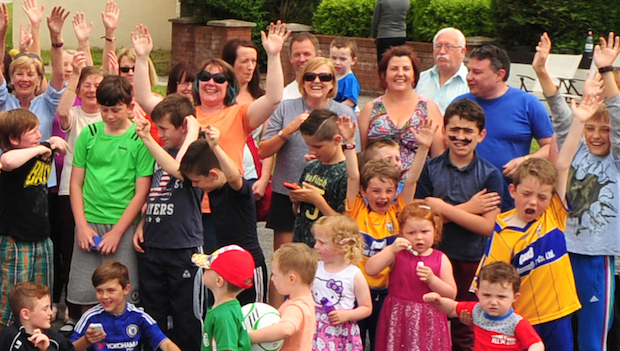 Summerhill Heights Street Feast, Co Wexford. 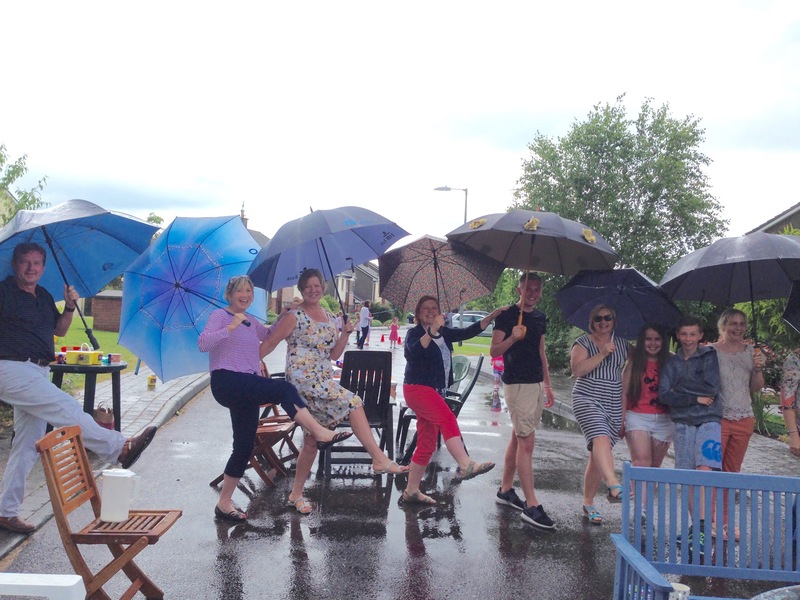 Photo by Eleanor Somers from Summerhill Heights Street Feast in Co Wexford. If you and your neighbours got together and hosted a Street Feast, we hope you’ll agree that that’s the most important win of all. 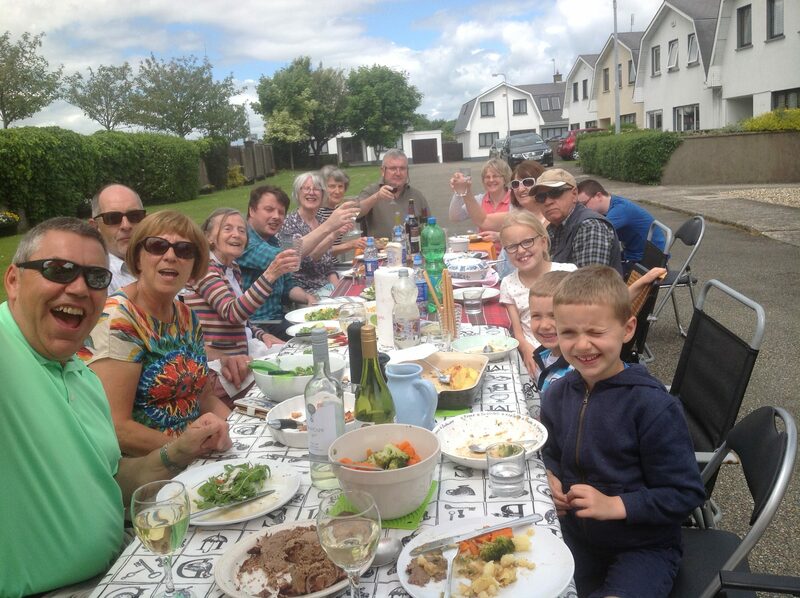 Remember, the main aim of Street Feast was to get out there, have some fun and host a picnic with your neighbours. That means that everyone’s a winner! Join us next year when we take to the streets on Sunday 11th June for Street Feast 2017! ‹ Centenary Street Feast 2016 – A round up!